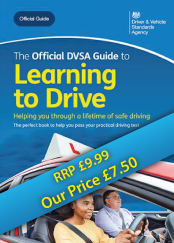 Whether you're a learner car, lorry or bus driver, a learner motorcyclist, or you just want to improve your driving or riding skills, we have the products to help. 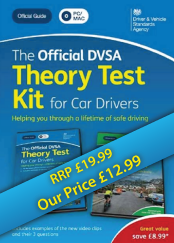 Orders placed before 12 noon on a weekday will be despatched the same day on a 48 hour Royal Mail service. Larger/bulk orders will be despatched on a 24/48 hour Parcelforce service. 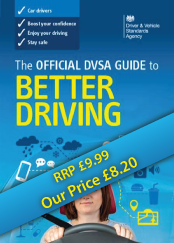 You will normally receive your order within 2 - 4 days (excluding Sundays and Bank Holidays). However, there may be times when it could take longer than the usual 2-4 days, e.g if a product is temporarily out of stock. If that is the case, we will always email you and keep you updated on the status of your order. 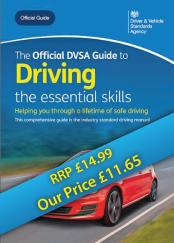 Why buy Official DVSA products? 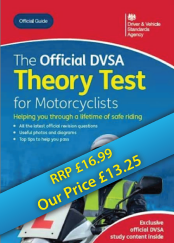 Because Official DVSA products are produced by the very same people that take you for your driving or riding test. 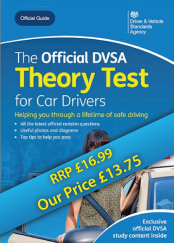 They are also the only official publications - guaranteed to be the most up-to-date material that you can study from. 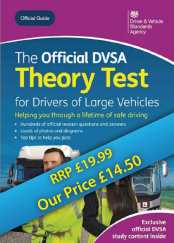 We only sell the latest editions available so we can absolutely guarantee that you will receive the most up-to-date learning and revision material from the DVSA.